On the 60th anniversary of the Mini Cooper model, MINI decided to create the original appearance of a 3- and 5-door models series. The differences will be traced in a special green shade of British Racing Green IV, supplemented by 'racing' stripes on the black hood with decorative elements both inside and outside. The first coupe of the British Motor Corporation pleased back in 1959. "Anniversary version" will remind the car with its traditions, which the company has not changed for 60 years. The special version was made to emphasize the British character, reminding sports genetics. Inside the car, there is a leather upholstery with a dark exclusive shade of Dark Maroon, a sports steering wheel with a serial logo, an 8.8-inch sensor, Apple CarPlay support and a rear-view camera along with a parking assistant. 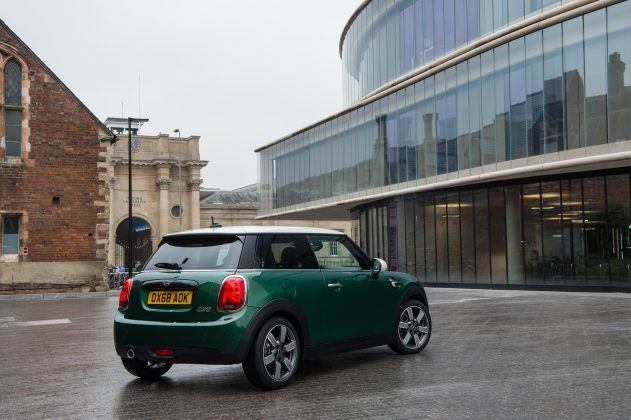 The Mini 60 Years Edition will receive a 2.0-liter turbocharged unit with 192 horsepower, together with 280 Nm, with which the 7-speed automatic transmission works. On a sale of the Mini 60 Years Edition is expected from this March. The price is at least £29.990.